To celebrate the release of this amazing new book, we’re giving away a copy of the ebook to one lucky winner. That’s right, you can win Golf Anatomy in our easy-to-enter and totally free competition! 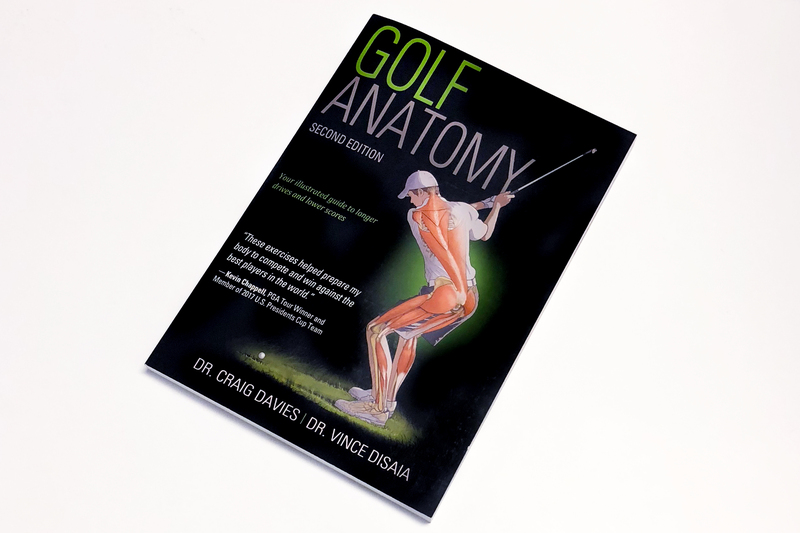 Golf Anatomy, Second Edition has proven to be the number one golf book for golfers at all levels. So why not enter now and see for yourself! Golf Anatomy is packed with amazing illustrations like this! Golf Anatomy includes 72 exercises, each with step-by-step descriptions and full-colour anatomy illustrations highlighting the muscles in action. You will see how to improve mobility, stability, balance and body awareness, and muscle strength and power to add distance to drives, consistency to your short game, and accuracy to your putts. This competition is totally free to enter and open to all! Simply add your details to enter our competition and one lucky winner will be selected at random on Friday 29 June 2018. Good Luck! This competition to win Golf Anatomy is sponsored by Human Kinetics Europe Ltd. The closing date for entries is Friday 29 June 2018. All entrants should be over 18 years of age. The prize will be an eBook copy of Golf Anatomy 2nd Edition. The prize is non-transferable; no cash equivalents may be claimed. The competition is a web-based competition and therefore entries must be submitted by this Web Form. Personal details of entries will not be passed on to any other agency or organisation. Entrants will be deemed to have accepted these rules and to have agreed to be bound by them when entering the competition. The competition is not open to Human Kinetics Europe Ltd employees or their families. For more information on strength training for golf and other sports, check out some of the resources below.